Taylor's revolutionary V-Class bracing has now grown it's family to include the best-selling USA-made range of guitars. 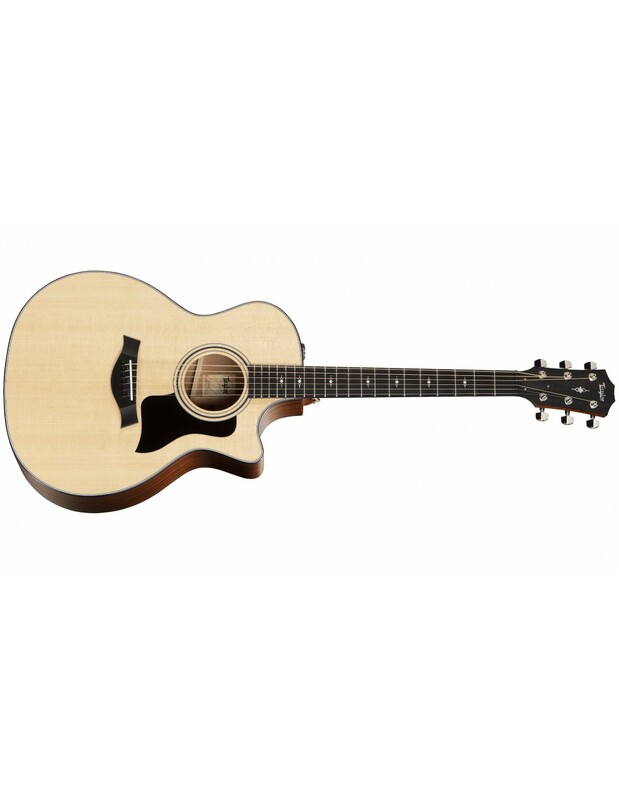 The 300-series has been the best-selling of the Taylor USA family for decades and retains it's well-known Spruce and Sapele tonewood combination. The result? A guitar of impeccable balance that responds kindly to all touches; a natural tone with sweet trebles and a controlled bass that lends itself to stage, studio and practice equally well. The addition of the refined bracing delivers a better treble sustain and intonation across the fingerboard. To celebrate and identify the new V-Class variant, Taylor have appointed an Italian acrylic headstock inlay, as well as complimentary fingerboard inlays. Now it looks and sounds as good as it did before…yet better! The popular Grand Auditorium 314ce is an acoustic workhorse that performs equally well in the practice room, recording studio, and on stage. This latest edition features our acclaimed V-Class bracing, a revolutionary innovation in acoustic sound that responds with greater musicality and harmonic agreement. By introducing a more orderly vibration to the guitar’s top, V-Class bolsters the sustain and volume to offer players a more dynamic voice to explore, while also resolving the minor intonation issues that players have long had to contend with. Together with a solid Sitka spruce top and solid sapele back and sides, you can expect a balanced and articulate blend of top-end brightness, midrange fullness, and low-end warmth that accommodates an array of playing styles. Appointments include black binding, Gemstone fretboard/peghead inlays in Italian acrylic, and satin-finish back and sides with a gloss top. A Venetian cutaway invites your fretting hand up the neck, while our proprietary ES2 electronics serve up faithful plugged-in tone. 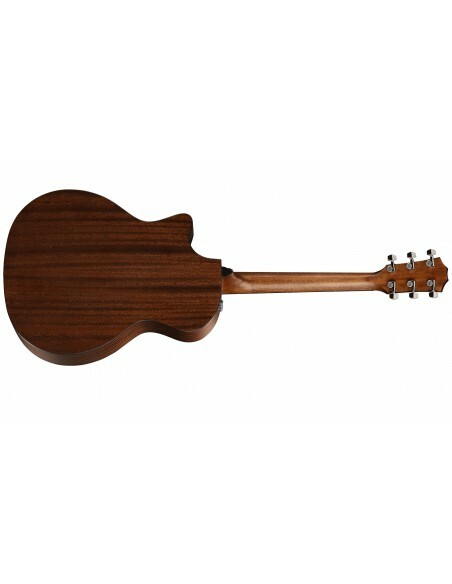 The guitar ships in a deluxe hardshell case.